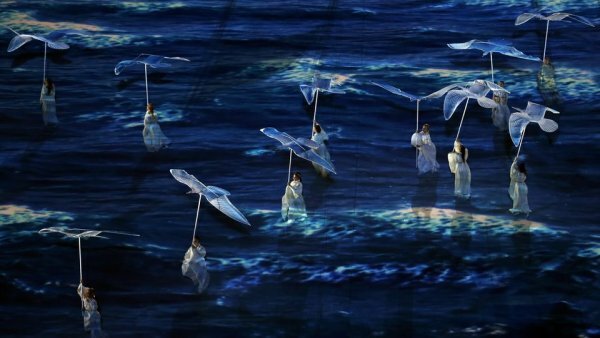 "I have a REALLY BAD FEELING about what might happen at these Sochi Olympics." I said it a lot. Like it was a totally original concept that no one had considered. I was there to help expand their minds. I also saw - for the second instance of Russian's posessing humor. The first instance was in the movie RED with Buce Willis - loved the Russian guy in that who loved Helen Mirren. This time around was your poking fun at yourself for that closed 5th ring. Well played. Well Bravo Russia. That was a great bit of International PR. You still have human right, animal cruelty and homophobia to work on.. but it's a really good start. Let me know what you do with those stadiums.